The knowledge application consists of a knowledge database and a diagnosis application. Alike a textbook, the knowledge database stores information on clinical pictures and treatments. This is complemented by precise instructions on the preparation of simple home remedies (e.g. sage tea for a sore throat). Among users of this database are nurses, parents and nursery school teachers. In accordance with the respective requirements, individually customised access and content exists for each of the target groups. 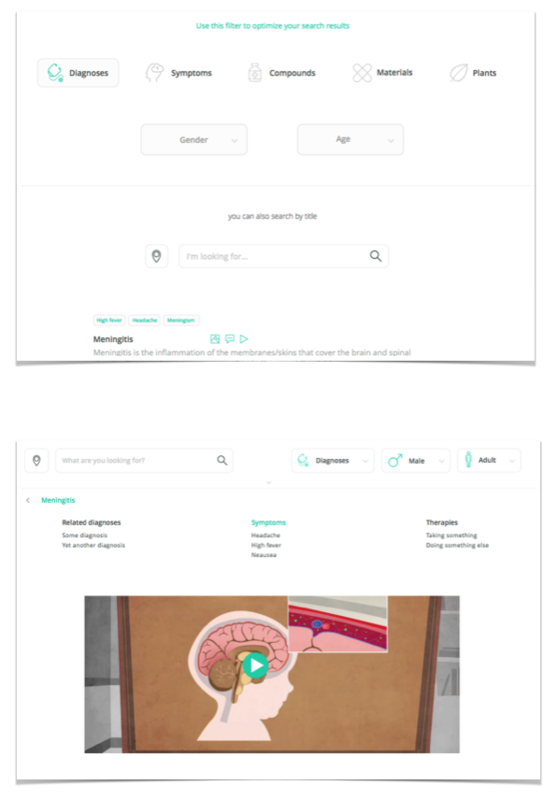 Nurses use a glossary related access, while nursery school teachers or parents have the opportunity to access the database though a symptom-guided approach. The diagnosis application is mainly directed towards parents or nursery school teachers. After selecting the symptoms, the app matches them with possible diseases and suggests initial therapeutic measures. This procedure is exclusively used for trivial diseases. When warning symptoms of severe diseases occur, visiting a doctor is always the immediate recommendation. 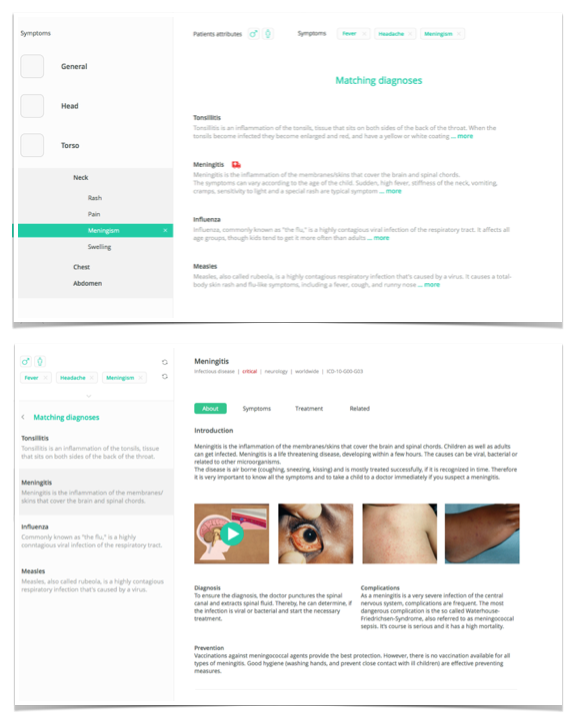 The symptom-related access enables the user to find the correct diagnosis by selecting present symptoms. Through this approach users with little previous medical knowledge, such as nursery school teachers and parents, are able to research information about diseases and learn about first measures like the preparation of home remedies for simple diseases. The glossary offers quick access and common search interface for the different topics and focuses and research via simplified related entries lists and browsing abilities. It can be accessed on its own or integrated in the Symptomatic and Diagnostic Apps. The most common use cases are likely to be nurses, anybody doing subject specific research or direct lookups for certain topics.